Hows the weekend treating you guys ?? Are you still in a run on what you will don ? 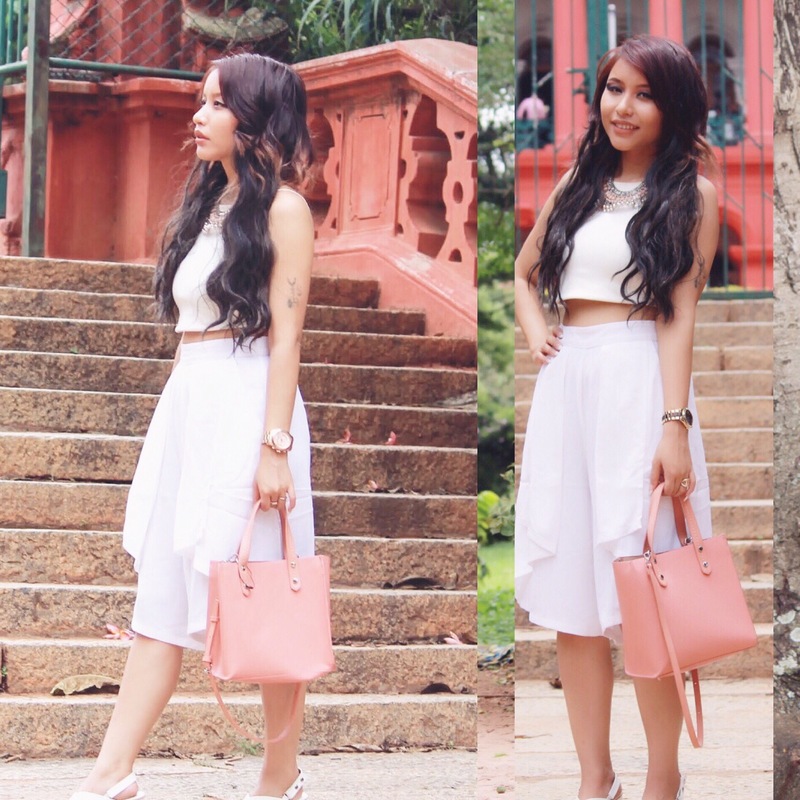 well this post is for those who loves to keep it simple yet chic ! This one is for those who loves to be very stylish but don’t wanna go overboard ,and a white on white outfit just fits the demand Here i teamed up a white crop top and a white cullote that is super flowy and comfy with a white strapped block heels and for some pinch of color i added a peach bag and a peach pearl statement neckpiece with a watch ! I swear you can run on those blocks ! This one is my fav..cause i can do all dance moves and i need not worry about any thing ..this monochrome playsuit is super comfy but it has a catch of style touch because of the pattern and that deep round back with a bow ,to break the pattern and add a striking contrast this yellow double strap block heel does the right job, anyone up for a brunch or a lunch date without being over the top can opt this outfit without a doubt ..